A few months ago, the esteemed gentlemen of our couples small group decided to start a men’s group. I was involved in a men’s small group a couple of years ago and the impact was immediate and profound. 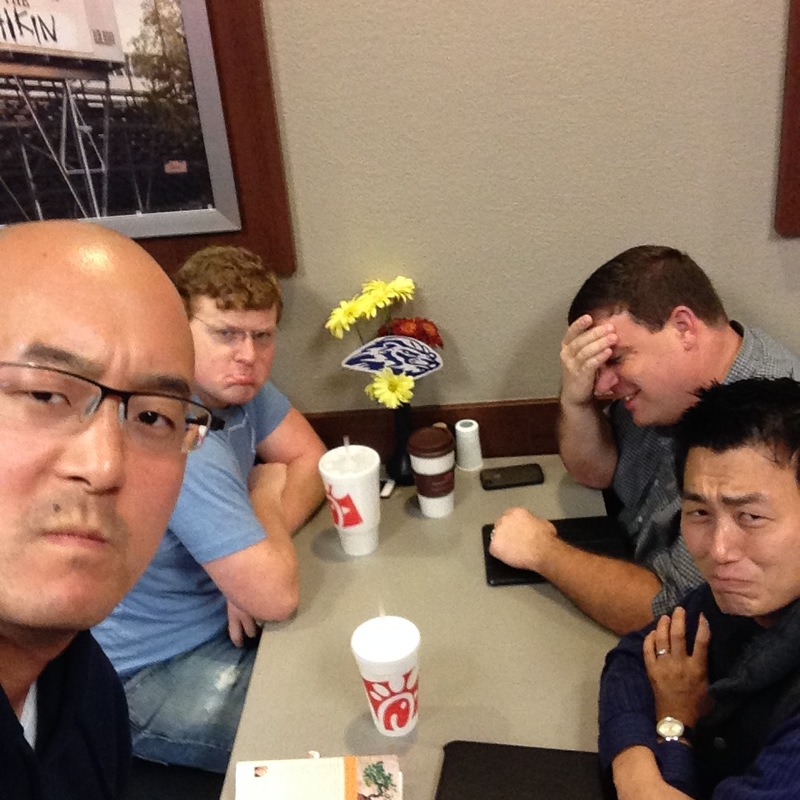 Instead of claiming another evening on the calendar, we decided to meet Friday mornings at 6:45am at Chick-fil-a. Thanks to Mandy we also have a hashtag: #chickenandjesus! More important than the name or hashtag is the purpose behind our meetings – to grow as men of God! We set out goals for our group during our first week and I’m still energized by being part of a group that is all working for the same things. First, we wanted to create an atmosphere of wise counsel. We all have issues in life that we just need to talk about bro-to-bro. Not to vent about how our wives made us angry, but rather talking through the struggles that we encounter daily that only other guys can understand fully. Second, we wanted to grow closer to Christ through devotional and Bible study for Christian men. In our church, John Woodall has changed the game with Seven (which was our first study) and we are lucky to have such a valuable resource at our fingertips. The Bible is full of guidelines for men on everything from how to lead your family to parenting to managing God’s money. Finally, we all were looking to build relationships with other like-minded guys who are fun to do life with. I look forward to Friday mornings each week (even though I have trouble getting up in time!) to spend with my buddies and have some of their wisdom rub off on me. I’m so thankful that we can all lean on each other and work through troubles, celebrate success, and grow to love Jesus more together. This entry was posted in Married Life and tagged bible study, chick fil a, Christian, christian men, john woodall, measure of a man, north point, reading, seven, small group. Bookmark the permalink.